"He missed a real opportunity to use his platform and the Oscars stage to build unity and awareness," GLAAD President Sarah Kate Ellis wrote. 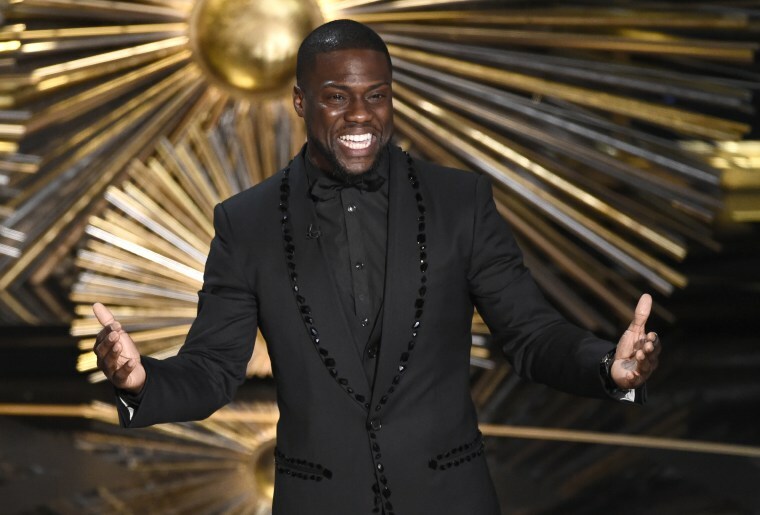 LGBTQ activists spoke out Friday against Kevin Hart's decision to step away from hosting the 2019 Oscars amid backlash over past homophobic statements, saying the comedian missed a chance to use his platform to "build unity and awareness." Sarah Kate Ellis, president of advocacy organization GLAAD, tweeted Friday that Hart should have "stepped up" after critics resurfaced nearly decade-old tweets and jokes mocking gay men. Hart deleted some of the tweets that were spread online, but many in which he called people "gay" or used a slur for gay men were still up as of Thursday evening. "Kevin Hart shouldn’t have stepped down; he should have stepped up," Ellis wrote on Twitter. "Hart’s apology to LGBTQ people is an important step forward, but he missed a real opportunity to use his platform and the Oscars stage to build unity and awareness." Hart announced Tuesday on Instagram that he was chosen to host the awards show. But on Thursday, he said he was was stepping down after being asked to apologize by the Academy of Motion Picture Arts and Sciences. Hart eventually did on Twitter. "I sincerely apologize to the LGBTQ community for my insensitive words from my past," he tweeted Thursday night. Human Rights Council President Chad Griffin spoke out in response to the news of Hart's decision in a tweet shortly after the apology was made. "You have a rare opportunity to take responsibility, teach people in this moment, & send a message to LGBTQ youth that they matter & deserve dignity & respect," Griffin wrote. "You say you’ve grown. Show us. Make amends for hurtful things you've said & affirm LGBTQ people." The Academy has not made a public statement regarding Hart's choice to step down as host and has not announced a new host for the 91st Academy Awards, which will be held in February.